Join me on Thursday, May 28, 2009 for a fascinating discussion with Dr. Kevin Soden, a medical journalist for over 20 years appearing on CBS, NBC and most recently on NBC’s Today Show. He now serves as the host for Healthline, the national award-winning daily medical television show seen on the Retirement Living Network. He also serves as the worldwide Medical Director for Texas Instruments and Cardinal Health and teaches as a courtesy Professor at the Univ. of Florida College of Medicine. Dr. Soden published The Art of Medicine: What Every Doctor and Patient Should Know…a critically acclaimed book focusing on improving doctor-patient communications. He is also the primary author of a consumer medical book Special Treatment: How to Get the High-Quality Care Your Doctor Gets. He is also a contributing author to the recently published A Practical Approach to Occupational and Environmental Medicine and to Physician Leaders: Who, How and Why Now? He has just finished his third book Think Like a Man: Male Behaviors that Can Help Woman Lighten the Load, Loosen Up and Find Happiness in a Stress-Filled World. He also is a regular contributor to numerous popular magazines. Read his article Laughing Your Way to an Even Better You. 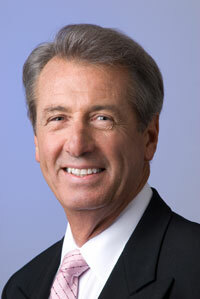 Soden graduated with honors from the University of Florida College of Medicine and is one of the original inductees into the UF Medical Wall of Fame. He also has a Masters in Public Health from the Medical College of Wisconsin and a Masters in Personnel Administration from Florida State University. (Read full bio below). The show airs from 5:30 p.m. to 6:00 p.m. EST on WRCR-AM 1300. You can listen to the program live online by clicking here. If you have questions that you’d like Dr. Soden to answer on the program, please send send your question via the Contact page. Due to the volume of questions, we can’t guarantee that all will be answered. We will also be taking live calls during the broadcast. Call 845-624-1300. Dr. Kevin Soden has been a medical journalist for over 20 years appearing on CBS, NBC and most recently on NBC’s Today Show. He now serves as the host for Healthline, the national award-winning daily medical television show seen on the Retirement Living Network. He also serves as the worldwide Medical Director for Texas Instruments and Cardinal Health and teaches as a courtesy Professor at the Univ. of Florida College of Medicine. His awards include 3 Telly’s, the 2008 CableFax award for best cable health show, the 2008 and 2001 National Award for Excellence in Medical Reporting from the National Association of Medical Communicators, a finalist for the International Freddie Awards in 2001, and as the Executive Producer for Rush of the Palms received the 2003 International Film Critics award for short films. Kevin published The Art of Medicine: What Every Doctor and Patient Should Know…a critically acclaimed book focusing on improving doctor-patient communications. He is also the primary author of a consumer medical book Special Treatment: How to Get the High-Quality Care Your Doctor Gets. He is also a contributing author to the recently published A Practical Approach to Occupational and Environmental Medicine and to Physician Leaders: Who, How and Why Now? He has just finished his third book Think Like a Man: Male Behaviors that Can Help Woman Lighten the Load, Loosen Up and Find Happiness in a Stress-Filled World. He also is a regular contributor to numerous popular magazines. Soden graduated with honors from the University of Florida College of Medicine and is one of the original inductees into the UF Medical Wall of Fame. He also has a Masters in Public Health from the Medical College of Wisconsin and a Masters in Personnel Administration from Florida State University.